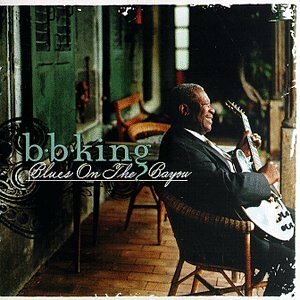 Blues on the Bayou is a self-produced studio album by blues icon BB King. In contrast to his previous 3 albums (Blues Summit, Lucille & Friends and Deuces Wild) Blues on the Bayou sees him abandoning the different-guest-musicians-appearing-on-every-song theme in favour of writing and producing a smooth and finely polished album with only his backing band supporting him this time around. All of the songs are extremely relaxed and sound as though they were tailor-made for the recording style he opted for. BB King still possesses a deep and powerful voice that you wouldn’t immediately associate with this album but it fits the songs surprisingly well. His playing shares the spotlight equally with his backing band that includes a brass trio and a piano/organ player, all of whom can be heard with a great deal of clarity on each song. By the time you get half way through the album it becomes apparent that he got himself stuck into a particular idea when you find that most of the 15 songs are written in the same way and keep the same mid-paced stride. If the album was shorter it wouldn’t be as noticeable but the overly long running time does take something away from the otherwise soulful and relaxed mood that BB King has proven to be more than capable of crafting.